Learning how to get rich… who doesn’t want to know how to do that? We all want to know! To become Rich or Wealthy you need the time for leverage to work at it. To obtain the time, you must first be Financially Free. What is the definition of being Financially Free? “Your Passive Income exceeds your monthly Expenses”. Passive Income is defined as your money being earned regularly, with little or no effort on the part of the person who’s receiving it. This means you need to learn how to build businesses, or learn to become a sophisticated investor. Investing is what we will focus on. Investing and learning how to get rich is not a race. You are not in competition with anyone else. All you need to do to make more money is simply focus on becoming a better investor. If all you want to do is to get rich quickly, or have more money than someone else, then the chances are you will be the big loser. To change your mindset or belief system takes time, it is a slow process. If you try to go to fast, overachieve, you will actually start to underachieve, you will go into overwhelm. Therefore, take baby steps, just like when you exercise. Baby steps eventually will take you to climb massive mountains. This is how to get rich. Multi-millionaire investor and Author Robert Kiyosaki states you need to understand BE-DO-HAVE. Most people want to “have” but they don't know what to ”do”, & they don't know who to ”be”. It's who you have to be first in order to get rich! First of all, as explained in the millionaire secrets and the money making secrets pages, being wealthy and learning how to get rich is firstly a state of mind, attitude. It is a belief system. Think rich, positive thoughts, work on eliminating your fears. Doing is taking action. Then the “have” will come. This is Emotional Intelligence! The game is patience, timing, understanding the numbers & the "human factor" (emotions). If you really understand the game, you won't get upset if you make a mistake and temporarily lose. F E A R stands for False Evidence Appearing Real – The best way to defeat fear is to educate yourself and gain knowledge, therefore gain confidence and take action. Education inspires confidence! Fears are challenges. 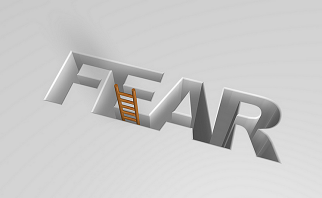 The way to grow and get better is to overcome your fears & weaknesses. When learning how to get rich, mistakes are opportunities to learn something new. The more mistakes a person makes, the more a person learns. The people who make the most mistakes make the most money. Never think "I'll never do that again", think " I'm glad that happened, because I learned …". Mistakes, failures are an integral part of human development. People who avoid mistakes never see the other side of the coin. Some of the biggest failures there are, are people who have never failed! Unsuccessful people blame the other person. They often want the other person to change and that is why they stay upset for so long. They are upset because they fail to learn their personal lesson. Success is the ability to go from one failure to another with no loss of enthusiasm. Life is a cruel teacher. It punishes you first and then gives you the lesson. Like it or not, that is the process of learning. In the real world, those who make the most mistakes, learn how to get rich and make the most money. A true investor is prepared for whatever happens. A non-investor tries to predict what & when things will happen. Most investments that will make you rich are available for only a narrow window of time. Train your brain to know what to look for and to be prepared for the moment the investment is presented to you. If you are prepared, there is a deal of a lifetime presented to you every day of your life. If you are prepared (educated/experience) & you find a good deal, the money will find you or you will find the money. The best investors make more money in a down market simply because the market falls faster than it rises. It doesn’t take money to make money; it takes education, experience and a plan! This overcomes fear. You need street smarts and school smarts. The Rich don’t work for money, they educate themselves, look for opportunities to create money & they have money work for them. They think "outside the box” and know how to get rich. 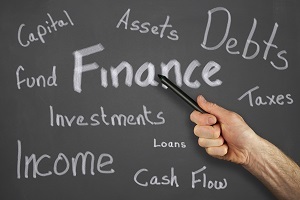 Financial Literacy is basic accounting and understanding Cash Flow & Financial Statements. Financial literacy is fundamental to fundamental investing. If you want to be rich and cut down on the risk and have money work for you, you need to think in cash flow & financial statements. Cash flow is what brings you wealth and how to get rich. Cash flow is motion, it keeps you moving forward and gives you momentum. Financial statements gives you freedom to move. They are your report cards. They tell you where you are now and where you want to go. You can then make a plan on how to get there. Being able to analyze financial statements will put you in control and lower the risk. The more your Financial Intelligence goes up, the more your risk goes down. Learn Financial Literacy, know the vocabulary, speak the vocabulary. The most important thing to know is the difference between an Asset and a Liability. An asset puts money in your pocket at that moment. A liability takes money out of your pocket ( ie. debt). And debt; There is good debt and bad debt. A loan to buy an investment is good debt, as this is debt feeding an asset that is going to put money in your pocket. Consumer debt is bad debt (credit cards, loan for a personal vehicle); it takes money from your pocket. You must use debt as leverage. There are good expenses and bad expenses. Paying for accountants, financial planners, lawyers are good expenses. So are purchasing personal "doodads" (boats, cars) through a Business, therefore using them as a tax deduction, therefore good expenses. Buying doodads as an employee or on a personal level, are bad expenses. The average person uses their expense column to become poor. It is through the expense column that the Rich person sees the other side of the coin. Most people only see expenses as bad, events that make you poor. When you can see that expenses can make you richer, the other side of the coin begins to appear to you. Your Asset column is your future. This is where wealth is created. Cash flow is created from assets. All four Assets feed off of each other. They work together. Each Asset has a strength and a weakness. Each one has a reason for moving money in and out of each other. Know the Tax laws so you know how to use each asset. Earned Income: Income from wages via a traditional job, labor and paycheck, interest on savings, and retirement plans. Portfolio Income: Income one gets from your portfolio of investments where it is generally derived from paper assets such as stocks, bonds, commodities and mutual funds. Passive income: Income one gets continuously on a regular basis without working on the part of the person who’s receiving it. Generally derived from businesses, real estate investments, royalties, trademark licenses, stock dividends and distributions. The way to create wealth is to first convert earned income into passive or portfolio income. You acquire assets that create passive or portfolio income. Then you create or convert these assets into further assets! (keep re-investing). It is a way of thinking that creates assets & once you have that way of thinking, you will be richer than you ever dreamed possible! This is how to get rich! Each investment vehicle has a use and a purpose c/w a plan. And each one has its strengths and weaknesses. Investing is a plan. To know how to get rich, you must have a plan on how to make a lot of money and you must have a plan on what to do with that money before you make it. You are using different assets, vehicles and procedures (trading, speculating) to get from Pt.A to Pt.B. It will take different vehicles and every vehicle has its strengths and weaknesses. You start with where you are today and where you want to be and you need a plan(map) of how you will get there. A Professional Investor wants control. And the control begins with yourself, your financial education, your sources of information and your own cash flow. There is a price to pay if you want to become rich, and that price is Time. Of the Assets of time & money, time is more precious. The moment you begin to think of time as precious and that it has a price, the richer you will become. Poor people measure in money, rich people measure in time. Money is only a medium of exchange. It is a tool. In reality, money by itself has very little value. If you want to become rich, you have to know whose rules to play by. The people who actually do the most "work", the employees, are those who being left furthest behind as they pay the most taxes & also make the rich richer! Tax laws are written for the rich, the capitalists. Don't be an average investor as an average Investor is being a Risky Investor! Robert T. Kiyosaki is an American businessman, investor, self-help author, educator, motivational speaker, financial literacy activist, financial commentator, and radio personality. The author of more than 26 books, including the international personal finance blockbuster classic Rich Dad Poor Dad, and a series of books which has been translated into 51 languages, available in 109 countries and have combined sales of over 27 million copies sold worldwide. A passionate and outspoken advocate for financial education, Kiyosaki has stressed the importance that entrepreneurship, business education, investing, and that comprehensive financial literacy concepts should be taught in schools around the world. The first resource is entitled The Cashflow Quadrant. This book reveals how some people work less, earn more, pay less in taxes, and learn to become financially free. The general idea is that we are all in one of four quadrants: Employee, Self-Employed, Businessman, or Investor. From there, Kiyosaki explains that financial freedom comes from moving from the left side to the right side, becoming a businessman or an investor and to learn how to get rich. 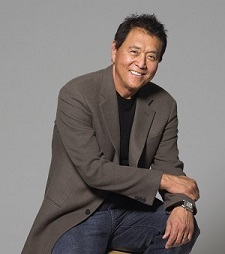 The second Robert Kiyosaki resource is Rich Dad's Guide To Investing. This resource covers the basic rules of investing, how to reduce your investment risk, how to convert your earned income into passive income… plus Rich Dad’s 10 Investor Controls. This is a book on teaching you an investor mindset. Kiyosaki plants ideas and provides you with a road-map to successful investing, which is key to learn how to get rich. This is an outstanding resource, it transformed me from an employees mindset to a investors mindset..,I personally recommend this! The third resource from Robert Kiyosaki is his Rich Dad Cash Flow 101 & Cash Flow 202 Board Games. The mind learns the quickest when it is not under pressure and when you are having fun. This is exactly why these games were made. These educational board games simulates real life financial strategies and situations. When playing these games, you will practice real world investing, and you will learn accounting, finance, and investing all at the same time helping you to learn how to get rich. You will also learn advanced investment techniques of short-selling stock, put-options, call-options, straddles, and real estate exchanges. 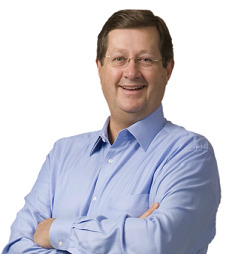 Robert G. Allen is a multi-millionaire and author of a myriad of books on how to make money. He has been teaching ordinary people how to achieve extraordinary success and financial freedom for over 30 years by using Multiple Streams of Income. To date, he has generated over a BILLION dollars in revenue from his own Information Empire, but collectively his students have generated over a BILLION dollars in revenue from his teachings. Robert’s purpose in life is to teach people how to achieve financial success—even starting from nothing. He teaches that the source of true wealth is an internal reservoir of passion, creative thinking, courage, persistence, and giving back. In Multiple Streams of Income, Robert Allen presents ten revolutionary new methods for generating over $100,000 a year—on a part-time basis, working from your home, using little or none of your own money. For this book, Allen researched hundreds of income-producing opportunities and narrowed them down to ten surefire moneymakers anyone can profit from. This revised edition includes a new chapter on a cutting-edge investing technique. This book is the result of a lifetime of research and experience in teaching thousands of people how to achieve financial freedom and to learn how to get rich. Learn How To Convert Your Ordinary Income Into Passive and Portfolio Income! Learn The Rules Of Money That The Rich Use! Learn Accounting, Finance, and Investing While Having Fun! 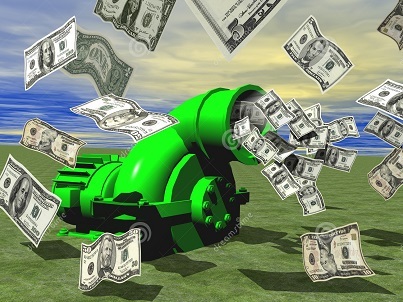 Learn How To Create Multiple Streams of Lifetime Cash Flow! 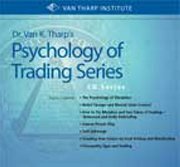 Return From "How To Get Rich" to "Stock Market Trading Psychology"
Return From: "How To Get Rich" to the Home Page "Stock Market For Beginners"